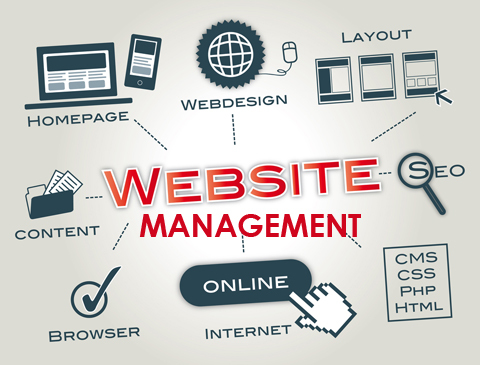 We offer reliable Website Management Services (also know as Webmaster or Web Maintenance) including Website Design and Website Development services, please contact us for more information. No matter how large or small or regular the changes are – we can handle them for you. We are known for our good communication and service skills as your Website Manager. Customers who email their website changes to us will receive a confirmation email shortly after so that you know we have received the request, followed by an indication of when we will be able to work on the changes – usually within 1 to 2 days of the request depending on the urgency. For genuinely urgent requests we will do our best to complete your Website changes asap to help meet your deadlines. We try to keep Website Management work within regular business hours Monday to Friday, but these days many businesses are open 7-days especially online, so as our customer you will be able to send us a text message after hours if you have an urgent request. Some of the key website technologies we are involved with include: WordPress, Joomla, DotNetNuke, Drupal, Magento, and more… Many platforms are similar, so just tell us what you need and we will work out a solution to take care of the changes for you. As skilled Website Developers we also offer coding / web development services in: HTML, XHTML, CSS, JS, JQUERY, PHP, MYSQL, and more… We have many years of experience in custom coding applications and websites for large corporate identities, so chances are we can handle your next big idea, just ask us.